Fig. 7. Topographic sketch of Har Karkom. 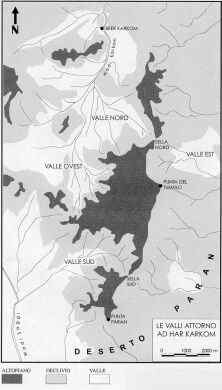 The Bronze Age cult sites are concentrated on the plateau, while the living sites are located in the surrounding valleys. (HK Archive; WARA W05870).